The ACME collaboration has recently reported a new bound on the electric dipole moment (EDM) of the electron, |de| < 1.1 × 10−29 e · cm at 90% confidence level, reaching an unprecedented accuracy level. This can translate into new relevant constraints on theories beyond the SM laying at the TeV scale, even when they contribute to the electron EDM at the two-loop level. We use the EFT approach to classify these corrections, presenting the contributions to the anomalous dimension of the CP-violating dipole operators of the electron up to the two-loop level. Selection rules based on helicity and CP play an important role to simplify this analysis. We use this result to provide new bounds on BSM with leptoquarks, extra Higgs, or constraints in sectors of the MSSM and composite Higgs models. The new ACME bound pushes natural theories significantly more into fine-tune territory, unless they have a way to accidentally preserve CP. S. Herrlich and U. Nierste, Evanescent operators, scheme dependences and double insertions, Nucl. Phys. B 455 (1995) 39 [hep-ph/9412375] [INSPIRE]. M. Ciuchini, E. Franco, G. Martinelli, L. Reina and L. Silvestrini, Scheme independence of the effective Hamiltonian for b → sγ and b → sg decays, Phys. Lett. B 316 (1993) 127 [hep-ph/9307364] [INSPIRE]. S.M. Barr and A. Zee, Electric Dipole Moment of the Electron and of the Neutron, Phys. Rev. Lett. 65 (1990) 21 [Erratum ibid. 65 (1990) 2920] [INSPIRE]. 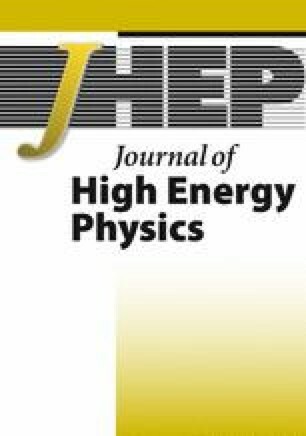 D. Barducci et al., Interpreting top-quark LHC measurements in the standard-model effective field theory, arXiv:1802.07237 [INSPIRE]. K. Yanase, N. Yoshinaga, K. Higashiyama and N. Yamanaka, Electric dipole moment of 199 Hg atom from P, CP-odd electron-nucleon interaction, arXiv:1805.00419 [INSPIRE]. L. Lavoura, General formulae for f(1) → f(2)γ, Eur. Phys. J. C 29 (2003) 191 [hep-ph/0302221] [INSPIRE]. C. Cesarotti, Q. Lu, Y. Nakai, A. Parikh and M. Reece, Interpreting the Electron EDM Constraint, arXiv:1810.07736 [INSPIRE]. G.F. Giudice and A. Romanino, Electric dipole moments in split supersymmetry, Phys. Lett. B 634 (2006) 307 [hep-ph/0510197] [INSPIRE]. Y. Grossman and M. Neubert, Neutrino masses and mixings in nonfactorizable geometry, Phys. Lett. B 474 (2000) 361 [hep-ph/9912408] [INSPIRE]. T. Gherghetta and A. Pomarol, Bulk fields and supersymmetry in a slice of AdS, Nucl. Phys. B 586 (2000) 141 [hep-ph/0003129] [INSPIRE]. S.J. Huber and Q. Shafi, Fermion masses, mixings and proton decay in a Randall-Sundrum model, Phys. Lett. B 498 (2001) 256 [hep-ph/0010195] [INSPIRE]. S.J. Huber, Flavor violation and warped geometry, Nucl. Phys. B 666 (2003) 269 [hep-ph/0303183] [INSPIRE]. G. Panico and A. Wulzer, The Composite Nambu-Goldstone Higgs, Lect. Notes Phys. 913 (2016) pp.1 [arXiv:1506.01961] [INSPIRE]. R. Contino, L. Da Rold and A. Pomarol, Light custodians in natural composite Higgs models, Phys. Rev. D 75 (2007) 055014 [hep-ph/0612048] [INSPIRE]. A.C. Vutha, M. Horbatsch and E.A. Hessels, Oriented polar molecules in a solid inert-gas matrix: a proposed method for measuring the electric dipole moment of the electron, arXiv:1710.08785 [INSPIRE].